At the Environmental Center of San Luis Obispo's (ECOSLO) 32nd annual Coastal Cleanup Day on Sept. 15, more than 1,300 volunteers picked up 5,688 pounds of trash at 36 locations along SLO County's coast. 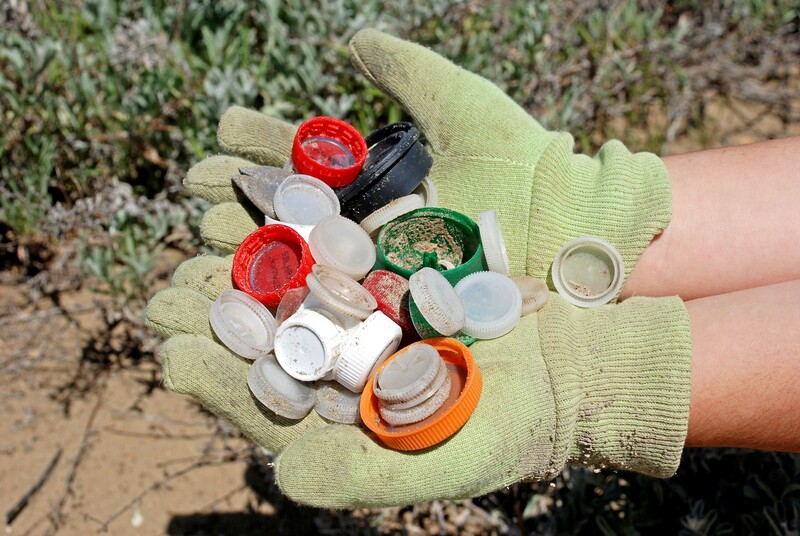 Mary Ciesinski, executive director of the nonprofit, knows it takes a literal village to pick up after itself, from tires on the Estero Bluffs, to plastics at Morro Bay, to cigarette butts in Oceano. As such, ECOSLO's cleanup is a major event on the Central Coast each year, regarded as critical to safeguarding the coastal habitat. But what about the other 364 days of the year? After all, a new wave of trash always begins the day after the cleanup. With this in mind, ECOSLO decided to grow its coastal cleanup program in 2018, using a Coastal Commission grant to launch Beach Keepers, a monthly opportunity for community members and organizations to participate in regular cleanups. 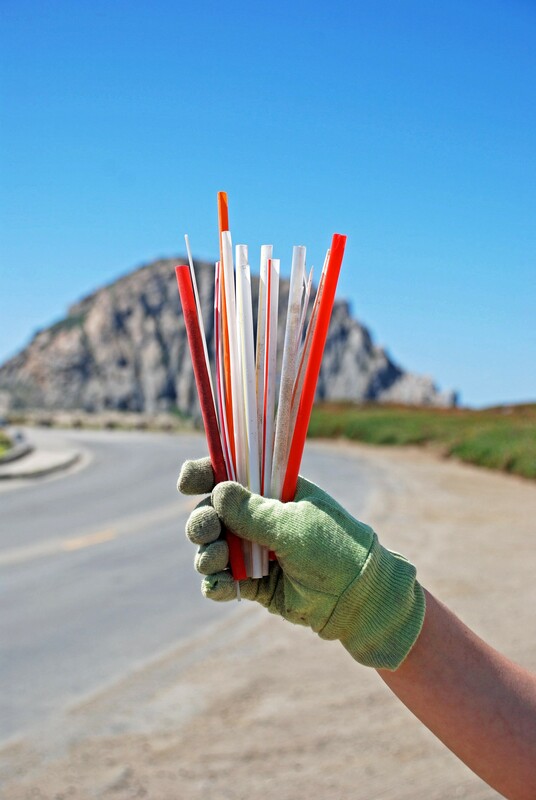 DRAW STRAWS Plastics are one of the top pollutants on SLO County beaches. ECOSLO tries to address that through a new monthly coastal cleanup program called Beach Keepers. "We wanted to offer something more year-round on a regular basis," Ciesinski told New Times. "We looked at Coastal Cleanup Day data to identify what are the 10 hardest hit areas and targeted those locations this year." Nearly 400 volunteers scoured the beaches from April to October, picking up more than 1,000 pounds of trash during 16 cleanups. The way it worked was ECOSLO hosted one cleanup on the first Saturday of each month, while organizations and businesses could sign up to sponsor their own at different locations. As a result, the community cleaned up the 10 most polluted beaches in SLO three times in 2018—spots like Estero Bluffs, Cayucos Pier, Morro Strand, Morro Rock, Montaña de Oro, Avila Beach, Pirate's Cove, and Oceano Dunes. "We now have more data from throughout the year and not just the one-day snapshot," Ciesinski explained. "We have three data points for 10 different locations." Data is one of the most valuable resources for groups tackling the problem of pollution on the coast. Ciesinski said that every ECOSLO cleanup is a "data-driven cleanup," where items are meticulously tracked and documented. "We're tracking everything that we find," she said. "That all gets reported to an international database so that reports can be generated for our area." Cleanups aren't just beneficial to the coast and ECOSLO, but to the people who participate. "If they haven't done a cleanup before, they don't realize that cigarette butts still make up about 30 percent of the trash that we find," Ciesinski said. "It's toxic and there are plastic filters. A lot of people can't believe it." Participants also learn about the cycle of trash landing on the beach. Oftentimes it travels from miles away. "If it's not picked up in those inland locations, it's going to eventually end up in the coast," Ciesinski said. "When we have a big storm, it all gets pushed through the creek, or a river, or a gutter and eventually lands in the ocean. It's all connected." TRASH CAPS ECOSLO needs help continuing its Beach Keepers program into 2019. 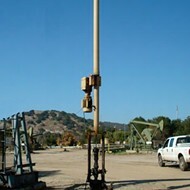 Contact the nonprofit at (805) 544-1777 to sponsor a cleanup day. Thanks to a contribution from the Community Foundation of SLO, ECOSLO also gave out sustainable items like beeswax wrap and bamboo utensils to cleanup volunteers. Ciesinski said the broader goal is to inspire community members to live more sustainably and consciously. "Cleanups, they're great, but they're kind of the last resort when it comes to caring for the environment," she said. "There's a lot more we need to do in our personal lives and in our community system. ... That's what we're really hoping the beach cleanups are inspiring people to do, because they're seeing this stuff firsthand and realizing, 'Wow, this is a problem, and I'd like it to change.'" ECOSLO plans to continue the Beach Keepers program in 2019, but it needs some help doing so. "We're looking for companies and organizations to basically sponsor a cleanup moving forward," Ciesinski said. "We'll hold some throughout the year, but we need funding to make these cleanups happen."